Kind of the same reason I don't talk to anyone irl. I don't want to annoy anyone, and I feel like I am every time I talk to someone. It's made a lot easier here because it's online, though I still can't / don't say everything I want to. I haven't really had any stand-out moments yet. I've only been here a few months, so it would probably be something small like reaching a new rank. So I just found out from my mom that I don’t have to go to school today and that instead she’s taking me out pretty cool huh. Now before all of you freak out let me tell you something. At My school everything we do is online on the computer so I can just do all my school work on the computer at home or in the car on my phone. Or basically anything that has google or safari. Plus my school dosent really care about punctual much about 2 of my classmates there only come on Wednesday’s and Fridays. That's awesome to hear! Have fun! Today we ask the age-old question: WILL IT PONY?! What's poning, ponles? I loved it! The first good episode of the season! 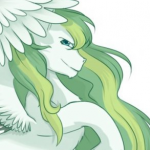 Thank Celestia. Wow, an Ocean's 11 parody! I absolutely flipped. What a great idea! It was a smash all around. Terrific. First off, omg, Rarity's "the house wins" speech!! Love it. Love it. When I first read the synopsis, I feared another immature fight, another Non-Compete Clause. I was afraid that Twilight and Shining Armor were going to do a Lucy and Ethel style bit where they start hating each other over something stupid, and one minute into the episode they're shouting, "I'M NEVER SPEAKING TO YOU AGAIN!" "GOOD RIDDANCE!!" Omg, so glad they didn't go that way. I mean, you just never know with this show, but this time it was great. Parodying Ocean's 11 was brilliant. Not too much to say, really. They just did a fantastic job. And they made it different by doing the inside job twist. I liked it very much. Although, one little thing confuses me: weren't the Chrissy throne shards preventing magic use? How did Luna use magic to teleport the crown, then? And it seems to me that preventing magic use in the castle would be too big of a risk to begin with. Sure, the enemies wouldn't be able to use magic, either, but I dunno--still seems too risky. You might end up with some disaster like at the Equestria Games where nopony could stop it. I couldn't help but chuckle at the entire premise of upping the castle security, and calling in the "big guns", Shining Armor, to help, as if castle security has ever done anything, ever. Scarecrows would be just as useful as those castle guards. But, y'know, I guess we're suppose to assume that without the guards, Chrissy would have waltzed in and killed everyone a dozen times over. Some really great moments sprinkled throughout. We got to see Noir Rarity! And the whole bit with Rarity convincing Rainbow to distract Zephyr was brilliant. I really liked Glamour Dash. She cleans up real nice. There was something really endearing about the whole scene. Perhaps it's because I can empathize so much with Zephyr's having a crush on Rainbow. Who wouldn't? Perhaps she'd actually like him back if he stopped acting like the most insufferable windbag in Equestria. Applejack's singing story was very amusing. I'm assuming it was made-up. It seemed like a weird continuity error to me, but her reaction to Rainbow asking if it was made-up made me think it was definitely made-up, which was hilarious for some reason, perhaps just because it was from the Pony-of-Truth. What was her stage name supposed to be? I heard "Apple Core", but I've seen posts in this thread saying "Apple Chord", (which makes sense), and "Apple Corn", (which doesn't really make any sense). Guess I could turn on closed captioning to find out. Ooh, and I LOVED the Maud appearance. The rock specialist. Brilliant. However, as much as I enjoyed AJ getting to shine here, one does wonder why Maud didn't just destroy the rock herself, since she has proven that she's strong enough by saving Pinkie from the boulder on her death obstacle course. Maybe that was because she had a life-or-death adrenaline surge. She probably can't do that normally, I guess, huh? Of course, the best part was Spike finally getting the recognition and brother status that he deserves. Fans have long bemoaned the fact that he gets ignored or brushed aside. I think they've even joked about it on the show, right? Was it Chrissy that kept referencing the the heroes and saying that there were seven, and then Spike would clear his throat and say "eight". Didn't that happen? Or am I mixing up Totally Legit Recap with canon again? Anyway, I'm sure everyone was thrilled to see Spike get that recognition. I certainly was. Y'know what, though? I think that, personally, my favorite moment was when Luna huffed and made the real horse sound. Anytime a character makes a real horse sound, I just , and when LUNA does it, well, I just !!!!!! I will say that I'm not so sure Twilight is ready to rule Equestria if she jets off at the drop of a hat without actually asking if Starlight can run the school. Moreover, if Twilight and all the other mane 5, as well as Spike, are all doing Castle Heist... then who's teaching class at school? Cuz school was clearly in-session... Now, I realize that laying the Ocean's 11 parody on too thick would have been beating a dead horse, but there's one thing I really wish they had done. 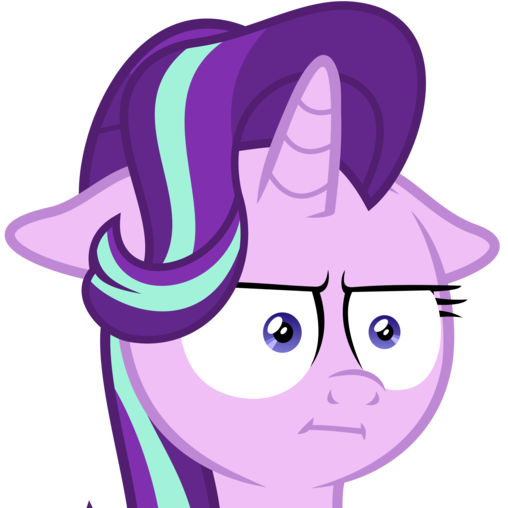 I wish that they had come up with a way to include Starlight, without leaving the school unattended of course, (Headmare Pro-Temp Discord? ), and then done this scene with Twilight and Starlight sitting at the Hayburger: Well, before I close, I have to answer the question--Ocean's 11: will it Pony? HECK YEAH!! Many times over!! @Blitz Boom Rosa's explanation can be summed up with one word: scary. That bad? That was very much the kind of thing Sen and Lin would hear to get them to behave or not to snitch on anyone but the kinds of stories that had those as morals are exaggerated to drum up some immediate responses from the children. And by responses, it would mean quickly getting them quiet and obedient real fast, maybe even ingraining some of those into their heads for good measure. Hearing this again and being told it could very well happen to them if they don't heed Rosa's warning? That scared the siblings straight. "You've made your point, Rosa. We'll keep quiet about Scarcity if someone asks." "I'll get started with cleaning up this campsite. This shouldn't take long and I'd like to come back here and bring these home. I will need to keep these hidden away." It was about this time that Omen returned from her period of stillness and silence, all the way from the night before. Lin was delighted to hear here voice, stopping what she intended to do and approached her with Sen, who stepped forward to offer some reassuring words and an explanation. "Omen, we weren't going to leave you behind. We are preparing to leave, however. You were unresponsive since last night when sister was teaching you. Even if you remained that way, I'd carry you all the way to the courthouse but... it's good you're with us now. "How are you feeling? Did you process our lesson from last night? Or did I mess up by saying lots of big words?" Why are so many people arachnophobic? Because they're creepy mf-ers. The way they crawl is just nasty, and don't get me started on the webs. I love both, but it's almost impossible to beat a good burger (which I don't get nearly often enough), and there's just so much more variety with them. You could do literally whatever you want with a burger. And honestly, I don't like take-out pizza all that much. It's too greasy. Homemade is much better. I did notice that back in the day, but I wasn't bothered by it in any way – it was cute, and sort of your trademark back then. Everyone has their own mannerisms, I've recognized some in my own posts (such as my overuse of smilies, certain repeated words...). And editing posts to remove those repeated mannerisms... yeah, I've done that too, though I wouldn't say it's necessary at any rate. @Mirage Fair enough. It is certainly far from a catastrophe, of course, but it does come across as a touch... juvenile in retrospect. @Tacodidra That is true as well. I do prefer to present myself in a regal and sophisticated fashion...so I suppose the somewhat juvenile use of the tilde comes across as rather counter-productive in retrospect. Regret and mild humiliation? Over a simple character? Trust me, there was absolutely no issue with it! I'm hard pressed to find anyone who would be frustrated with something as small as that. I suppose we all have our quirks when posting, no need to be embarrassed about it. Your back to your original Pfp bro I love it.